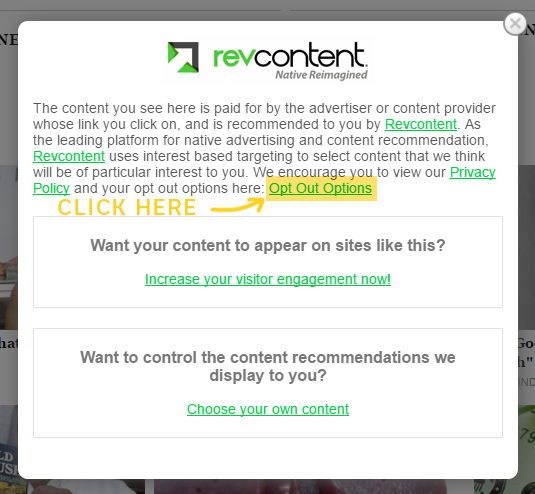 How to opt-out of horribly annoying native advertising on web pages. This content seems like it is related to the web page or blog post you are reading, but it is not. It is called "native advertising" and boy is it annoying and distracting. Advertisers pay for this content and often use photos of scantily clad women or other enticing content to try to get you to click. Some call this "click bait". So, how do you opt-out of this annoying content? Well, because there are quite a few companies providing this type of native advertising, there is unfortunately not one way to opt-out. It varies for each content provider. 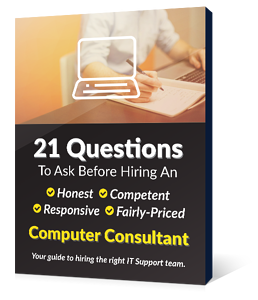 The good news is that the method is somewhat similar for each provider. To get started in the opt-out process, click the text/triangle at the top of the ad bar. On the next box that pops up, click the "opt-out options" link. They really don't want you to click this, so the link is kind of buried. The next step is to click the "Opt Out" button. Supposedly this will opt you out of this content on that particular website. On one hand I understand companies attempting to entice people to click their content, but on the other hand, this seems like the lowest form of sleesballness (not a word) there is. I am also guilty of sponsoring content on several networks, but we are selling IT, Web, and Marketing services. Actually legitimate business content, not click-bait junk articles about "Googling Yourself". Let me know in the comments below if you have been successful opting out of this kind of content. Also, if you have any related stories or positive experiences with native advertising, I would also like to hear that.